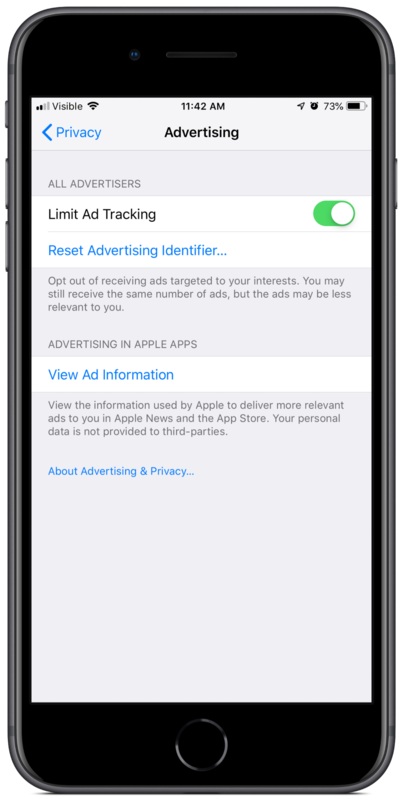 As I previously wrote, when you go to Settings > Privacy > Advertising > Limit Ad Tracking , and turn it on, your advertising identifier becomes a bunch of zeroes. Some people like to occasionally tap that Reset Advertising Identifier button underneath (I used to do it too). But if your ID is already a bunch of zeroes, resetting it won’t affect it. It will still be zeroes.